You’re most likely familiar with Wes Avila and his popular food truck, Guerrilla Tacos, that roams the streets of Los Angeles. When you win Best Taco Truck by LA Weekly it just goes to show your on a different level. Wes has changed the game of tacos by utilizing the authenticity of his culture, but bending the rules a bit when it comes to what should be in a taco. Ingredients such as kurobata sausage and sea urchin, to his most popular sweet potato taco set him apart from your usual taco shop down the street. If you haven’t been lucky enough to try one of his tacos, Avila has dropped Guerrilla Tacos: Recipes from the Streets of L.A. to fill the needs of eclectic taco fiends, and for the folks looking to add a twist to your average taco. You’ll find 50 great recipes rooted from his Mexican heritage but with a modern twist, and the comic-like illustrations that accompany it will have you cooking every recipe in the book. 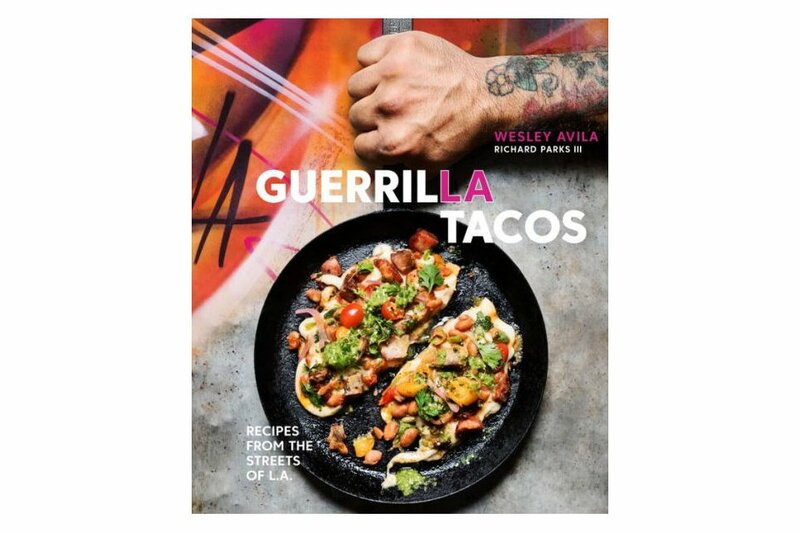 Wes Avila’s cookbook Guerrilla Tacos: Recipes from the Streets of L.A. is now available HERE.